Despite all the negative criticism she has received thus far, Malaysian model Tuti (Nuraini Noor) will stop at nothing in order to chase her lifelong dream of being a top model. As an only child in her family, Tuti said that she had to grow up to be a strong and dedicated, and this has led her on the road towards joining Asia’s Next Top Model. “I am very committed to pursuing my dreams and be as successful as I can be,” Tuti said. “There is no other way to do it besides pure hard work, determination and perseverance,” she added upon being asked on how she has been dealing with all the online criticism directed towards her so far. Tuti strikes a pose during her runway walk at TGV Indulge. During the press preview of Asia’s Next Top Model Cycle 4, TheHive.Asia chatted up with the stylishly edgy 24-year-old contestant at TGV Indulge, One Utama. Tell us a bit about yourself Tuti. What was it like growing up in your home? I’m an only child and was raised by amazing parents who taught me a lot about life. In order for me to be a very successful person, it is important for me to have their blessings. Other than that, I think I have grown up to be a very strong girl – not to brag! But my parents are very supportive of me and they encourage me to chase my dream. So that’s why I’m here! How did the name Tuti come about? I was actually named Siti Aisyah, but when I was a baby it seemed that the name didn’t suit me well, so it was changed to Nuraini. But for a period of time, I pronounced the name as Tuti instead of Siti, so it got stuck. When you first found out that you were chosen as one of the contestants, what was your initial reaction? Honestly, I wasn’t mentally prepared. But then, I was glad that I got chosen because this is something new for me and Asia’s Next Top Model is a famous international competition. So I think that it is a great platform for me to go out and to be seen by everyone. What do you feel about all the social media feedback directed towards you? And how are you dealing with it? Instead of focusing on the negative energy, I focus on the positives and on how this competition and its effects have made me a stronger individual. I believe that this is a chance for me to represent my country in such an amazing competition and it is a very rare opportunity that doesn’t come along very often. 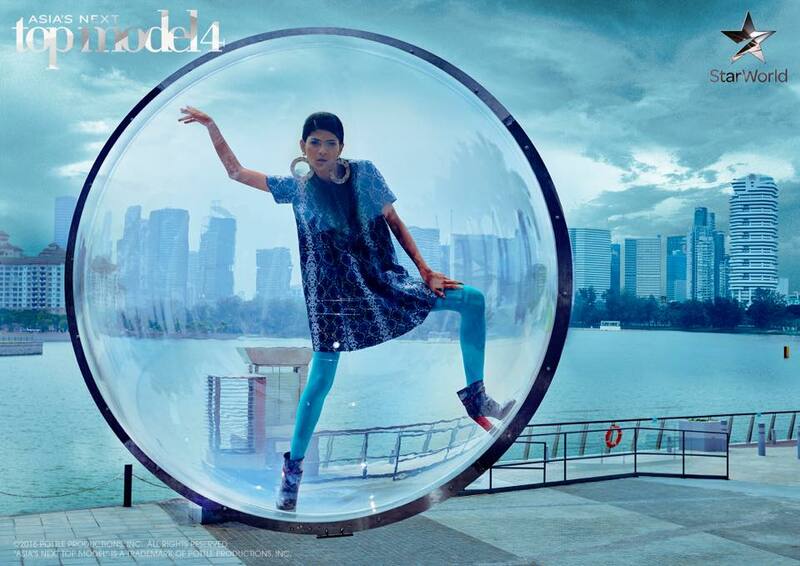 Tuti is the only Malaysian contestant for Asia's Next Top Model Cycle 4! Do you think being a Muslim model sends the wrong message to local Muslim girls? I’ll try to be as balanced as possible and not to cross certain boundaries, but still progress in my career. As a Muslim woman, I am proud to be able to be part of this international competition and to show that my religious beliefs can correlate with my career in the modelling industry. Some people may feel that certain high fashion clothing might seem inappropriate like revealing or provocative especially for a Muslim model. So, how do you feel about that? For me, clothes are a form of art, and just like any other form of art, it is admired for its creativity and beauty. I believe that high fashion can be bold and very far away from anything sexual. If I am not comfortable with certain type of clothes or tasks, I will definitely voice it out. Showcasing her versatility in different outfits. I’m a huge fan of Tengku Azura and Tini Wong, but since I’ve been working in Jakarta for the past year, so that’s where I met Kelly Tandiono, and a lot of other amazing models that I look up to. Anyone from the Top Model franchise itself? What is it like learning from Kelly and the other judges, as well as all the models? You know, I wish that Kelly could stay with us in the model house, but that’s pretty much impossible. But to have Kelly with us is amazing because sometimes when I’m losing myself, Kelly would always be there to support me and give me plenty of strength and the confidence that I need. Tuti and her model mentor, Kelly Tandiono. If you were asked to shave your head bald for a photoshoot, would you do it? I would love to! Totally, yes! But you would have to pay me a lot of money for it! Is there anything that you wouldn’t want to do, no matter what? Tuti's first photo shoot from the first episode of Asia's Next Top Model Cycle 4. What is the best advice that you can give yourself and other aspiring models out there? Know your strengths and learn your weakness, because sometimes your strengths can turn into your weakness and your weakness can sometimes become your greatest strength! Asia’s Next Top Model Cycle 4 airs every Wednesday on Star World and Star World HD (Astro Channel 711 & 722) at 8pm.